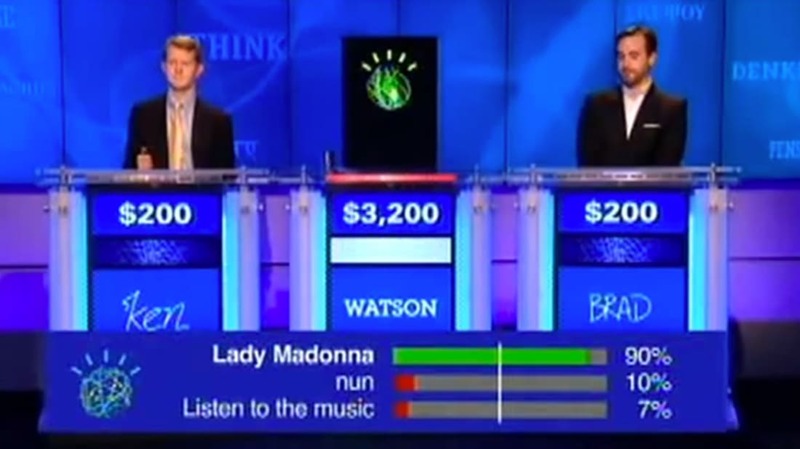 In 2011, IBM's supercomputer Watson took on Ken Jennings and Brad Rutter in a computer-versus-human championship match. It was aired across three days, but consisted of two full games and some bonus material. Now you can watch those games on YouTube. Enjoy this trip back to the not-so-distant past! Here's the first game. The commercials are mostly skipped. And here's the second. I think we all remember how this ends.